Hello everyone! Sean “Commander Ander” McCann here to talk you about our newest trial, Assault on Svardborg. 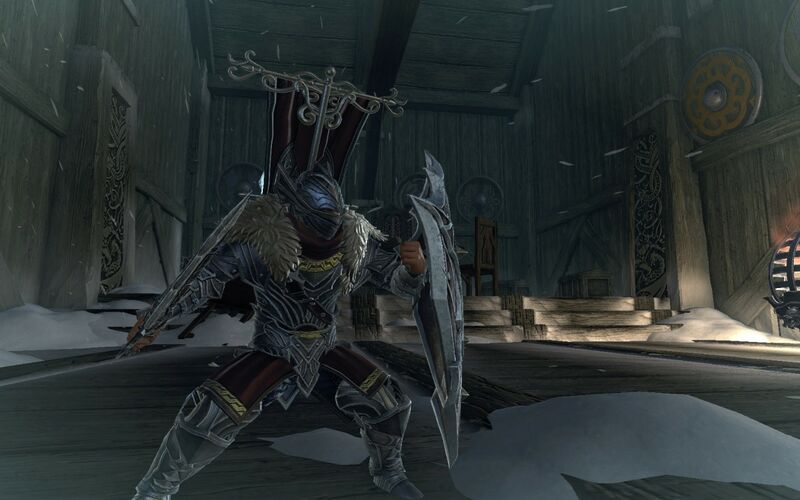 Deep within the iceberg fortress of Svardborg, Jarl Storvald, leader of the frost giants, prepares to use the Ring of Winter to usher in an age of winter for all of Faerûn! 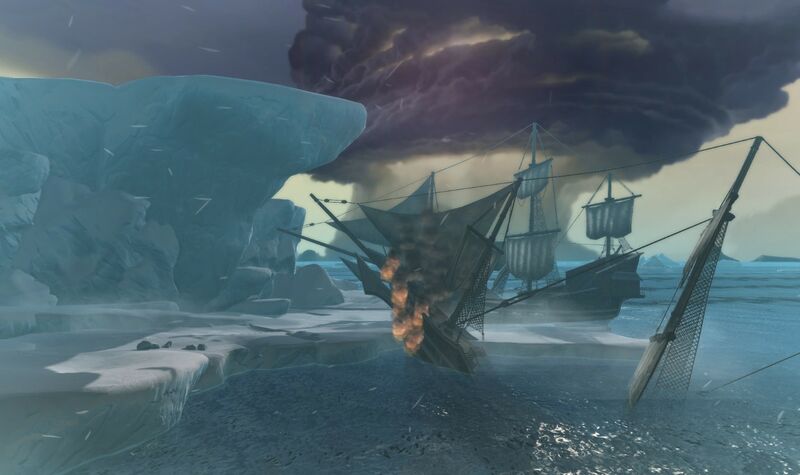 Assault on Svardborg is a level 70 trial that can be unlocked within a new expansion of the Storm King’s Thunder Campaign. There are two versions of it, normal and master. Read on to find out more! 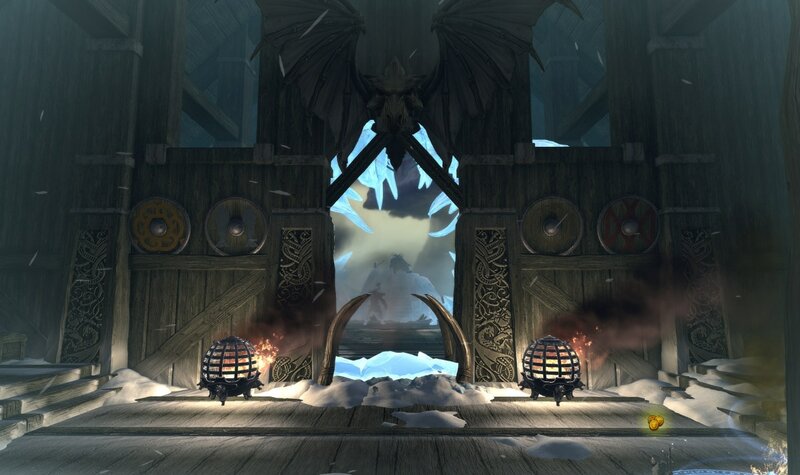 Small folk (Storvald’s word for players, not mine) who dare to assault Jarl Storvald’s inner lair find him sitting atop his throne of ice, unconcerned with the assault raging around him. Jarl Storvald throws his frost giant army at the small folk while using a small portion of the Ring of Winter’s power to destroy his puny opponents. If the insignificant small folk survive the frost giant army, Jarl Storvald becomes irate and leaps off his throne, deciding to deal with this assault himself. That is when the true fight begins, but I’ll leave the details of that to Asterdahl in a later blog post. Assault on Svardborg has two queues, normal and master. The current gear score requirement (these are subject to change) for normal is 2800, while master requires 3200 and the completion of Fangbreaker Island. Small folk also need at least 28% Everfrost resistance to access both queues. In the normal version, small folk can die and immediately re-enter the arena to continue the fight against Jarl Storvald. For master, small folk are unable to re-enter the arena if they die until all of their fellows are wiped out or Jarl Storvald is defeated. Both modes have a time limit of 20 minutes to defeat Jarl Storvald. Small folk who complete the trial are rewarded with refinement stones and upgrade reagents for relic weapons, Everfrost rings from Fangbreaker Island, as well as new artifact gear to go along with the new Valhalla set. The master version of Svardborg contains one of the hardest achievements to earn in the game, entitled, “Master of Svardborg”, which can only be earned if no one in your party is put into a downed state during the fight (this includes soulforged, but the death counter is reset if the entire team wipes). Earning this achievement grants players a special neck transmute, which can be reclaimed for free from the Maze Engine campaign. We’re all incredibly excited to see small folk (again, Jarl Storvald’s words, not mine) go up against Jarl Storvald and live to tell the tale. Stay tuned for more information about our latest update!